EAW033183 ENGLAND (1950). 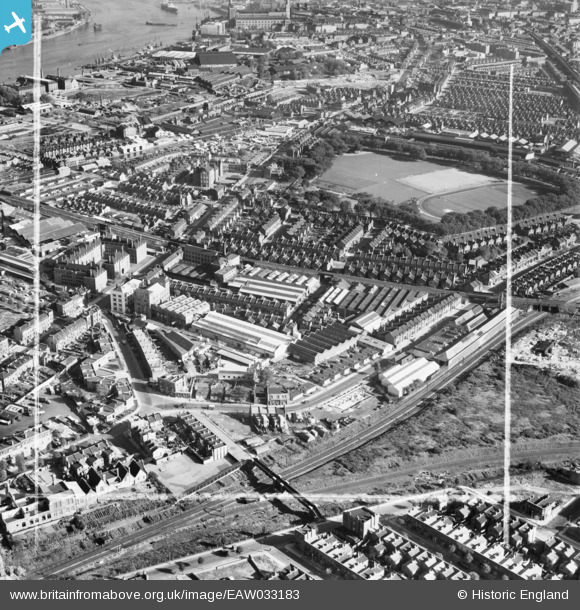 The Molins Machine Co Works, Deptford Park and the surrounding area, Deptford, 1950. This image was marked by Aerofilms Ltd for photo editing. Title [EAW033183] The Molins Machine Co Works, Deptford Park and the surrounding area, Deptford, 1950. This image was marked by Aerofilms Ltd for photo editing. The Woodman Public House. Now Demolished.